I am the proud father of a curious 6yo boy. He loves Pokemon (as one would expect) but his inquisitive mind combined with good parental guidance (more likely Mom’s achievement) drives him to enjoy cartoons that teach – and I am happy to say he knows as much about Madagascar lemurs (thanks, Wild Kratts) as he does about Greninja (the 1st-level evolution of Frogadier, in case you are wondering). 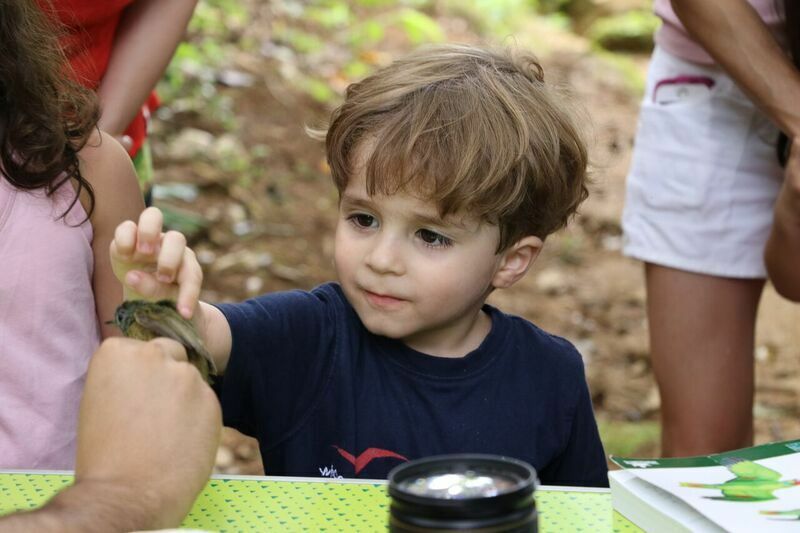 These interests of his were somewhat combined into an app called Seek by iNaturalist – where kids can easily search the Nature around (animals, plants), take a picture and check what species it is, and if it is native or alien. His innate curiosity, boosted by these incentives and facilitated by Technology, are making him increasingly interested on the World around him. This dynamic has been the starting point of a recurring theme I have been playing with, as we at Bee+Hive are beginning to organize with Fazenda Bananal (www.fazendabananal.com.br) the first of a series of workshops on the topic of reconnecting with our roots – being nature, culture and history – and its potential as a Touristic attraction. A recent report from Skift (The Rise of Transformative Travel) is a remarkable account of something we have been witnessing informally: travellers are increasingly looking for experiences that transform them. This trend, that started naturally among adventure travel enthusiasts, has expanded into luxury travel – also not surprising since luxury, in its essence, is about the everlasting duo of setting people apart, while fitting them in a selective group (independent of the standards). Nothing does this as personal experiences (that cannot really be copied by a cheaper competitor), and definitely nothing does THAT as high-end sustainable Tourism. Either by chasing the brown bear in the midnight Sun in Sweden, by swimming alongside humpback whales in Australia, savouring a dinner in the Zambezi River, having a photo safari alongside the onças (Brazilian jaguars) or exploring a preserved island entirely by yourself – these unique and jaw-dropping experiences are examples of the luxurious immersion in the Environment that is the cornerstone of Bee+Hive. Another striking article I read recently at Quartz (Technology is changing our relationship with nature as we know it), an interview with the University of Washington psychology professor Peter Kahn. Among a number of very relevant insights, I was stuck by his opinion that VR will never fully mimic Nature, since it can (yet) not replicate the full experience. You can exercise by indoor climbing, but you cannot (yet) replicate the gust of wind that takes you off-guard. It’s a more protected, shielded, experience and precisely by being so, lacks an essential element of the nature experience. An essential part of the Nature experience is that you have to be vigilant at all times – you have to watch our for snakes, loosen rocks, gusts of wind, and the amount of time you are underwater – so that you get to enjoy the sun warmth on you face, the refreshing breeze, the grass, the sea turtle swimming by and yes – watch snakes do their non-biting-you stuff. There is a price to pay (as anything), and by engaging with it you learn more about yourself – your strengths, weaknesses (be aware! ), and what are your limits to challenge (or not). The apparent contradictory insight is that, by immersing in true Nature, you end up learning more about yourself. This essential trade-off and benefit will hardly be met by a VR experience. Therefore, embracing technology (rather than fighting against it) can have a fantastic, mind-blowing impact on our relation with NatureNot by replacing Nature or mimicking it, but by doing what it does best: heightening our awareness, increasing our capacity to learn, grow, empowering us to integrate with the Nature around us, allowing us to take larger, longer, steps to evolution – yes, like Greninja to Frogadier. The challenge is on, @Elon Musk!